5 December 1889. Page 20. THE Boston Woman's Journal remarks re-garding the opposition to the employment of women in Sydney. History repeats itself. 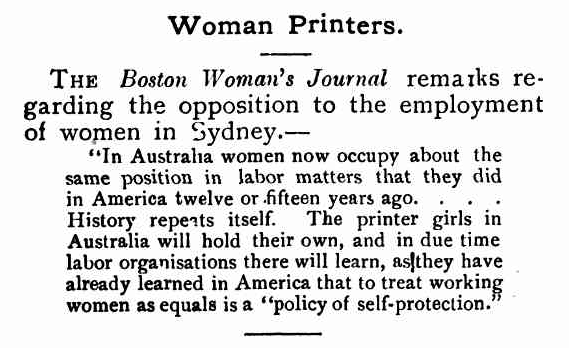 The printer girls in Australia will hold their own, and in due time labor organisations there will learn, as they have already learned in America that to treat working women as equals is a "policy of self-protection."